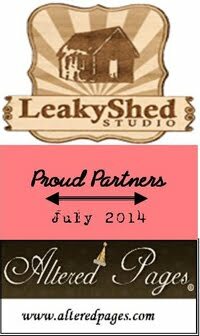 Leaky Shed Studio: Paint, Stamps and Embossing powder! Hello everyone! 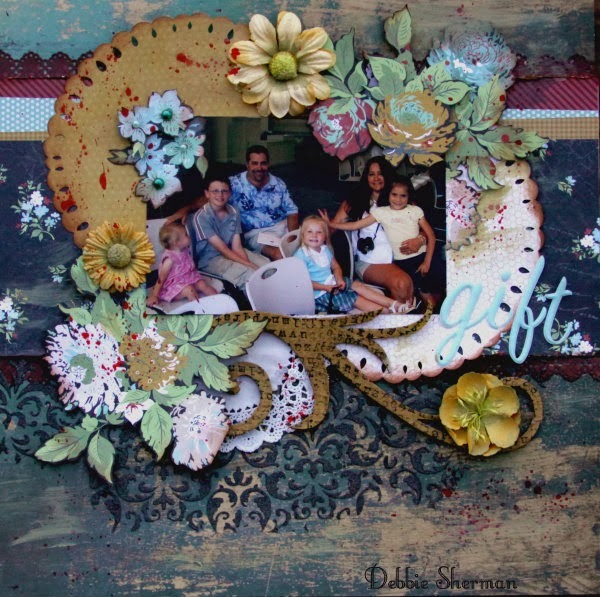 Debbie here today sharing a layout using the Leaky Shed Studio Flourish #2. This layout was so fun, a little mixed media and some stamping is always a good time! Here's a Close-up of my flourish. To decorate my Flourish I started out by painting it with Yellow Ochre, once it was dry I stamped on it with a large letter background stamp and Stazon. I then covered it with VersaMark and clear embossing powder. 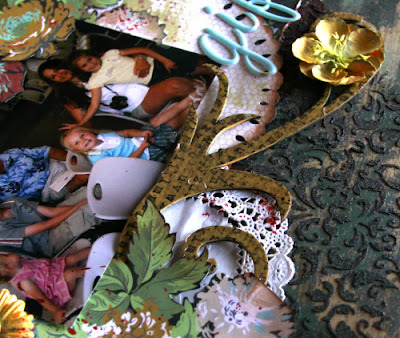 How do you alter you chipboard embellishments? We'd love to see! This is gorgeous! I loveeeeeee the doilies and the flowers!!!! Lovely work Debbie, love how you treated the chippies!